Located near the slopes, this Bethel resort is in the mountains and within 1 mi (2 km) of Bethel Historical Society, Bethel Hill Common, and Dr. Moses Mason House. Bethel Chamber of Commerce is 0.8 mi (1.3 km) away. 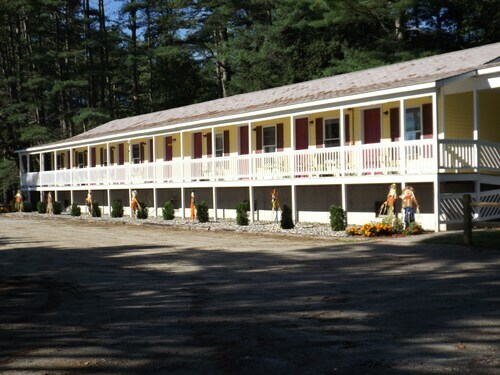 Situated in a rural location, this motel is 1.7 mi (2.8 km) from Bethel Historical Society and within 6 mi (10 km) of Sunday River and White Mountain National Forest. Mt. 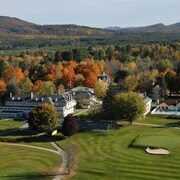 Abram and Sunday River Golf Club are also within 9 mi (15 km). Situated in Bethel, this motel is within 3 mi (5 km) of Bethel Chamber of Commerce, Bethel Hill Common, and Dr. Moses Mason House. Bethel Historical Society is 2.6 mi (4.2 km) away. 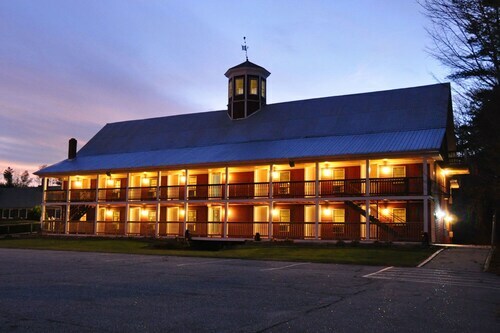 Conveniently located near the ski slopes, this Newry hotel is 0.1 mi (0.1 km) from Sunday River and within 16 mi (25 km) of Bethel Chamber of Commerce and Mt. Abram. Grafton Notch State Park is 14.2 mi (22.9 km) away. How Much is a Hotel Room in Rumford? 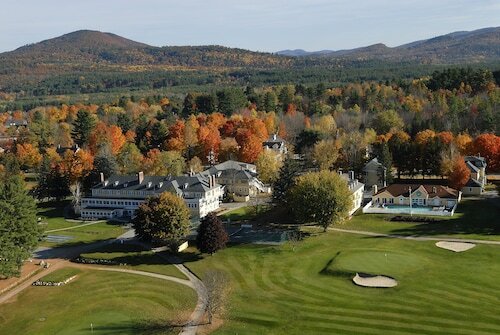 Hotels in Rumford start at $101 per night. Prices and availability subject to change. Additional terms may apply. 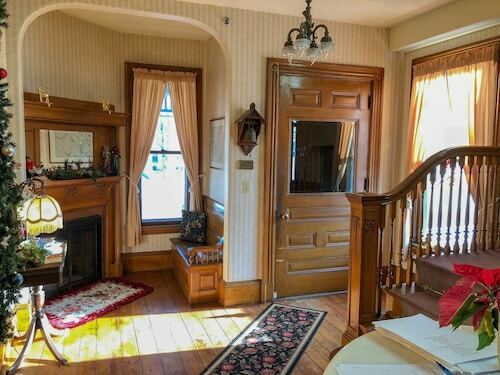 Sorry, you won't find any Travelocity-listed rooms in Rumford. There are, however, 2 places to sleep within an easy driving distance. 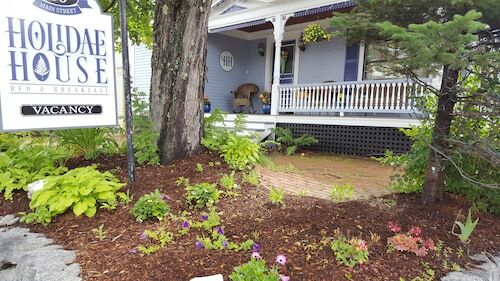 The The Victoria Inn B&B, Maine, which is the nearest Travelocity-listed hotel, is 15 miles (25 kilometers) from the heart of downtown Rumford. Or instead, you might like to look into the The Chapman Inn, located in Maine, which is 15 miles (25 kilometers) from the heart of the city. 6 miles (9 kilometers) away from the main part of Rumford, you will come across the The Perennial Inn. Alternatively, the No View Farm is positioned 6 miles (10 kilometers) away. Two other Travelocity-listed hotel and apartment options in the region are the Norseman Inn and Motel as well as the The Inn at the Rostay. Do you want to move a little further afield? Western Mountains is home to many beautiful attractions worth checking out. Western Mountains is home to lakes and mountains. The most popular traveler places of interest include art galleries. Common pastimes in this particular area of United States of America include snowboarding. Are you looking for activities? Consider spending a day or two exploring Stanley Museum and Ski Museum of Maine, in Kingfield, 35 miles (56 kilometers) to the northeast of Rumford. The Herbert Grand Hotel and Inn on Winters Hill are a few of the Travelocity-recommended short and long-stay options in Kingfield. 35 miles (55 kilometers) southeast of Rumford, is Auburn, which is home to the Residence Inn by Marriott Auburn and Hilton Garden Inn Auburn Riverwatch. The Auburn Mall and Central Maine Community College are some more frequented sites to check out in Auburn. If you are interested by sports and love attending thrilling clashes you and your traveling partner could get to Kennebec Ice Arena, which is found 40 miles (64 kilometers) to the southeast of Rumford. Modern visitors wishing to book a Travelocity-listed hotel close to the stadium can compare between the Fairfield Inn & Suites by Marriott Augusta or the Maple Hill Farm Inn and Conference Center. For the modern traveler traveling via Augusta State Airport, you might plan to book Travelocity-listed accommodation at Hampton Inn Augusta, or Comfort Inn Civic Center, which are both a short distance away. Very nice extras. Fresh cookies. Some spirits. Complimentary tea and coffee. The staff were great. The room was perfect. Well done Bethel Inn! We were pleasantly surprised with our stay! The Inn was clean and spacious. The staff was amazing! Plus, the breakfast was delicious (fresh & homemade)! We can't wait to go back! Plus, you cannot beat the location - walk to restaurants and shops in Bethel! Best value in the Bethel/Sunday River area! Great experience. The owners are very nice,as well as the staff. I would definitely return. Good value as well, especially for Bethel. Great location. Older hotel, but the room was quiet and very clean. The staff was very friendly and helpful. 10 months ago by A verified traveler from Kingston N.Y.
3 Minutes To Ski Lifts With Fantastic Views! 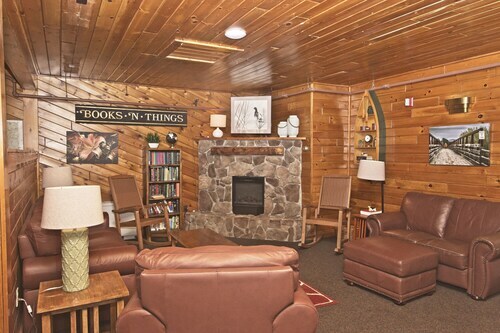 Mountainside Condo w/ Ski-in/ski-out Access, Shared Heated Pool, & More!